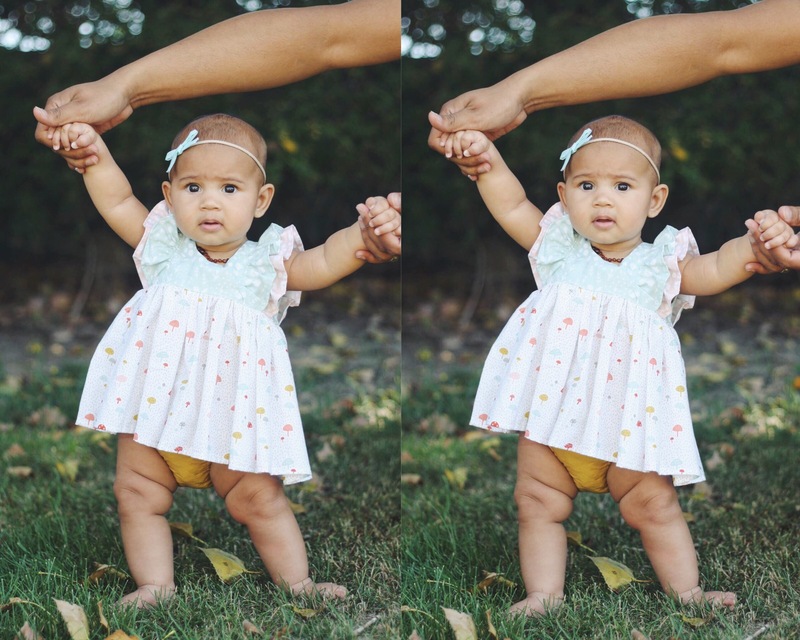 If you’re not the kind of person to scroll through Instagram and Facebook and like/follow a million and one pages, some say you might be missing out on cute clothing goodness for your little ones. Wrong! Two clever ladies have come along and broken that barrier for you. Introducing ‘Little Big Crate’, a super awesome new business on the block. 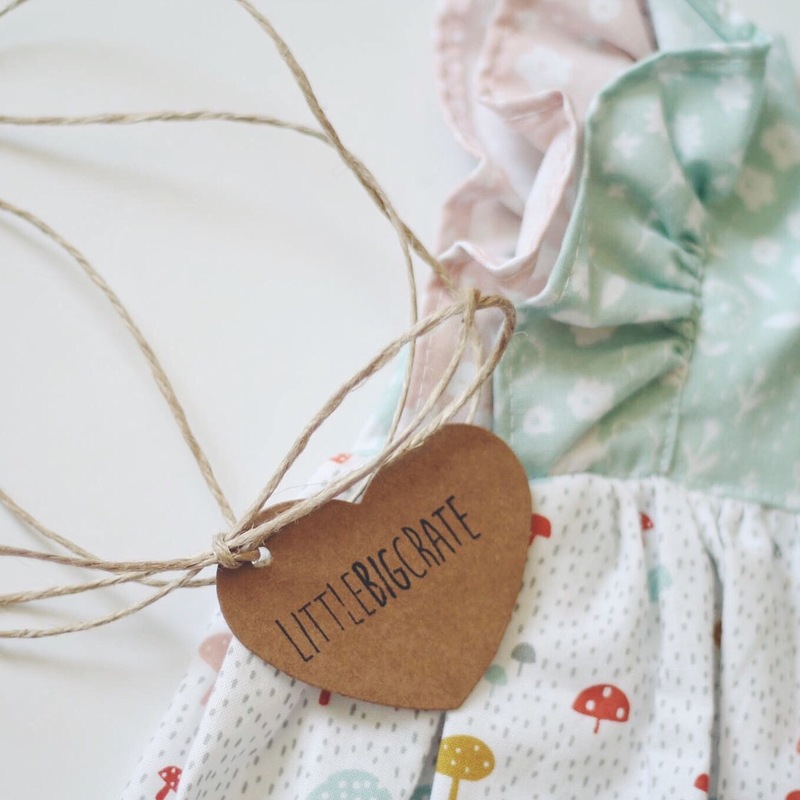 The general gist of Little Big Crate is: you (Mum, Dad, Aunty, whoever) fills out an online profile and answers a few questions about your babe and the kind of clothing styles that you like. Melanie and Annette then personally hand pick out items that they think you will like, to make up your ‘crate’. Now this is the cool part – you only pay for what you want to keep! Once your crate arrives, you have 5 days to decide what you love, put the ‘no’ items in the pre-paid post bag that comes with your crate, drop it off at the post shop and done! Within a couple of days of recieving your crate, you will get an email with another quick survey about which items you’re keeping, which you’re not, and why (this will help M + A the next time you order a crate!). You will then receive an invoice for the stuff you’ve kept. Easy peasy! 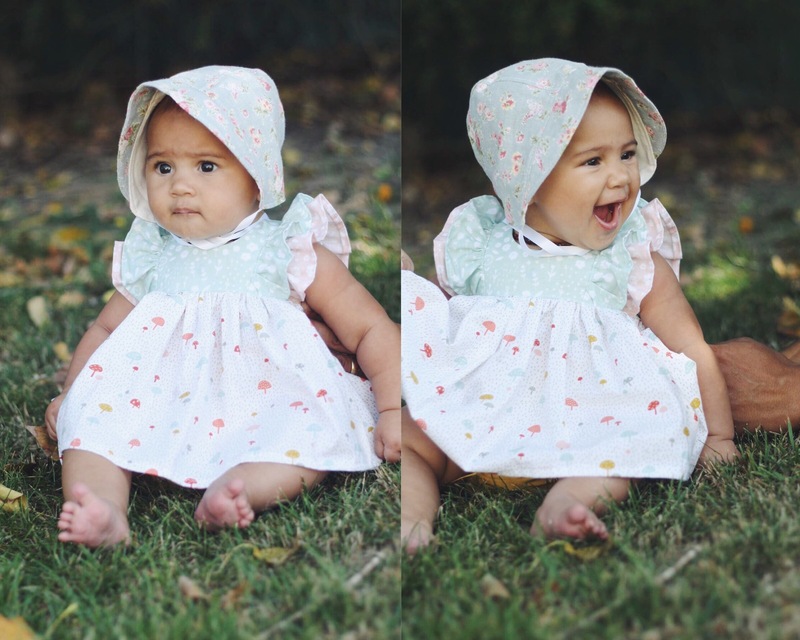 Posy bonnet – Beau Bonnets | Ruffle sleeve swing top – Cottontail | Soft soled ‘Charlotte’ shoe – Little Lane Co.
Not only is this a super cool, easy way to shop from a busy Mum point of view – but also an awesome way for brands to get their name out there! I found it really hard to choose what to keep, I could have easily kept it all… if I wanted my husband to divorce me 😉 I thought I’d choose two things, so here is what we decided to keep… The beautiful ruffle sleeved swing top from Cottontail (absolutely love this, it’s so well made and I just couldn’t send it back!) and the Beau Bonnets bonnet (I’m a sucker for bonnets!). 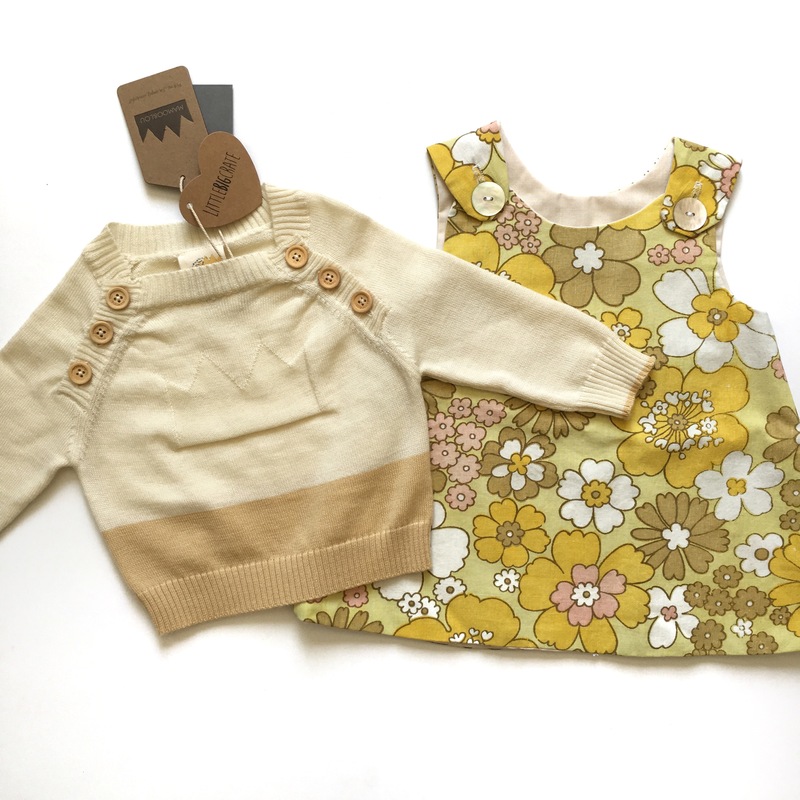 I really loved the heart bodysuit from Two Tykes too, but Marlo has loads of bodysuits so thought I’d stick with a couple of more ‘special’ pieces. Where did you come up with the idea of Little Big Crate? LBC was born out of lots of discussion! We had been thinking about starting a business with the long term goal being to work for ourselves. We had lots of ideas in the baby and kids theme but none of them really stuck until Annette remembered an ad she heard on a podcast for a Men’s clothing service in the US called Trunk Club. That conversation started the ball rolling on our business plan and ta dah! LBC is here. Is there a meaning behind the name? The name Little Big Crate is all about how our people might be little but their personalities are really big! We want our clothes to reflected their cool, fun, funky selves. And honestly, Little Big Crate rolls off the tongue better than Little Big Cardboard Box! You currently cover up to 2 year olds, do you have plans to extend this to some bigger sizes in the future? We are looking to grow with our customers. We plan to extend our range out to 4 year olds in 2016 and eventually get up to 6. Although I have heard from a lot of parents of older kids they want us to go higher than that! I think we will continue to grow where there is demand for our service. Sky is the limit! We are also considering how we might expand into Australia. It’s a great way for new businesses to get their name out there. Do you work with purely NZ brands? Or off shore brands too? We work mostly with NZ suppliers who are creating handmade pieces, but we also have some smaller Australian brands. We are happy to bring things in from further afield but we do our research to make sure it is ethically made by people who are being paid a fair wage for their work. We are always in awe of the talented people (mostly women) who are making beautiful clothes right here in NZ. It’s like Christmas when packages arrive and we feel very lucky to be able to share their talent with the world through LBC. Favourite part is probably opening packages and admiring the talent. It’s always a real privilege to be a small brands first wholesale order. We aren’t interested in just ordering and leaving, we want to create lasting relationships and a community of talented people. If a customer wants something we don’t have we will happily pass them onto the supplier so they can get it. When you’re not busy packing crates, what do you two get up to? When we aren’t packing crates… Running around with our daughter, making plans to renovate the house we just bought, dreaming about exotic holidays, hanging out with our friends who also have kids and therefore kid friendly houses. When we get evening time to ourselves Melanie happily watches house rules on TV and Annette plays her guitar and dreams of stardom. To order your own crate, click here. You can also find Little Big Crate on Facebook and on Instagram. So it’s kind of like StitchFix in the States? And dare I ask the price point? I saw you post about this on Snapchat – LOVE the concept and think it’s fabulous! I received my crate for my 5 month old not long ago and absolutely love it. So easy, good pricing and super cute one off items that others don’t have. I have been getting many compliments on finns new digs!!! Can’t wait to order again soon!! Oh my golly! I LOVE THESE!! Especially the onesie set and heart onesie! GORGEOUS!! thanks for sharing on Friday Favourites!